What are some of the causes of asphalt failure? Some causes include inadequate thickness of the pavement section to support the loads traveling across the asphalt, lack of maintenance, and weak or unstable subgrade components. Asphalt deteriorates when “fines” aggregates are worn away by weather and traffic. When the “fines” are worn away, there is nothing to bind the larger aggregates together and the surface begins to ravel. This weakens the pavement section and eventually allows water to penetrate the subgrade, which leads to pavement failure. Can you explain the proper way to repair a pothole or failed area of asphalt? When asphalt plants are open, the proper repair is as follows: saw cut around the failed area, remove the asphalt, inspect and re-compact the subbase, tack the perimeter walls, install new hot mix asphalt in two lifts compacting after each lift, and then crack seal around the patch to prevent water infiltration around the patch area. 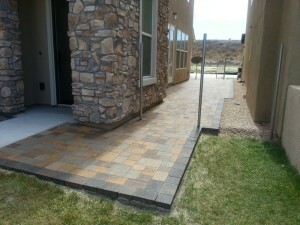 What is the difference between natural stone pavers and concrete pavers? Natural stones are primarily cut from real rock, concrete pavers are man-made and are manufactured in a wide variety of shapes and colors. Founded in 1993, the Interlocking Concrete Pavement Institute is the North American trade association considered by peer associations around the world as the leader in development and dissemination of technical information for design professionals and contractors and engages in a broad range of technical, marketing, educational, government relations and communications activities.